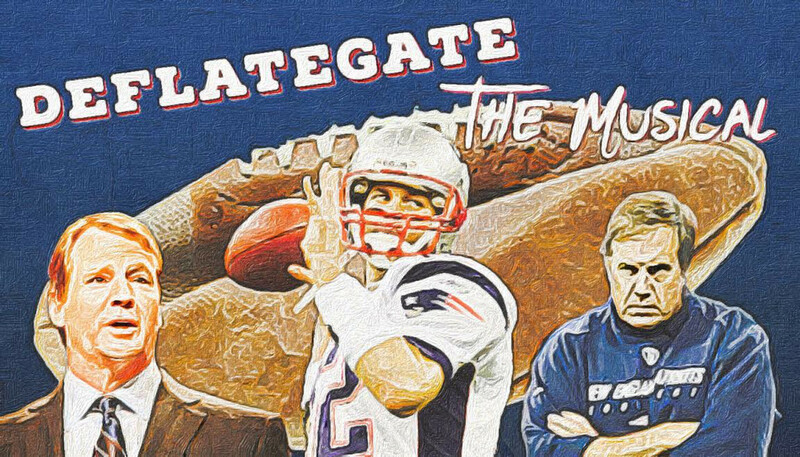 The most notorious crime of football history – DEFLATEGATE: THE MUSICAL is the hilarious true story of Tom Brady and the tragic events that led to him to besmirch the NFL; but learn a few lessons along the way. Starring: Julian Clark, Dave Colan, Colin Contreary, Blake Jarvis, Brendan McCay, Sarah Oliver and Arlo Sanders. Written and directed by Brendan McCay and Colin Contreary. Music and Lyrics by Brendan McCay, Colin Contreary, and Darcy Kendall.